More exciting news: I’m part of an awesome, submissions-based reading series in San Francisco called Writing Without Walls. The theme this month is WILD ANIMALS (so me, right?). 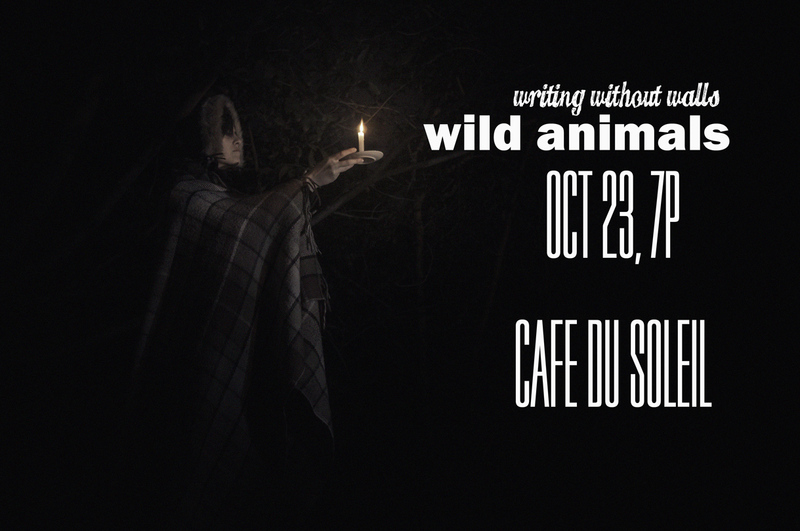 This Thursday, October 23, 7pm, at Cafe du Soleil in the Lower Haight. More info on the book of faces event. I’ll be reading three poems, one about San Francisco’s very own columbarium. Stoked to meet the other writers and to read my work in a cafe that I have “worked in” (read, camped out in) many Sunday afternoons, back when when I lived a few blocks away.